ARE YOU SLEEPING AS WELL AS YOU’D LIKE? If you said “no”, you’re not alone. A 2011 poll by the National Sleep Foundation found that nearly two thirds of adults say their sleep needs are not being met. Two thirds! Even more surprising is this: your sleep deprivation may have something to do with your oral health. Really. Bruxism is defined as the involuntary or habitual grinding of teeth, typically during sleep. 70% of people demonstrate some kind of bruxing behavior, and for at least 8% of adults, it can cause major problems. 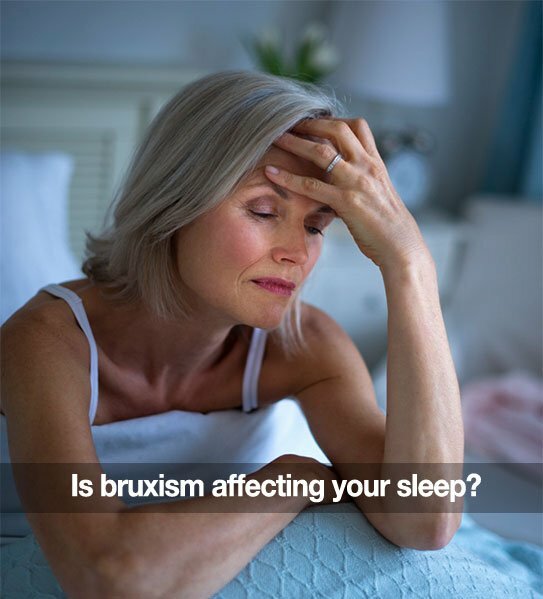 Are You A Sleeping Bruxist? Do your family members grind their teeth? Bruxism may be hereditary. If you are experiencing any one of these things, let us know! We want to help. Your oral health, and your sleep, are important to us. In addition to being the third most frequent sleep disorder, bruxism can also cause major damage to your teeth and dental work. It can result in fracturing, loosening, and even tooth loss. It also puts a lot of strain on your jaw and cranial muscles, which can lead to more serious problems. So, and perhaps most importantly, let’s talk about prevention. Cut back on caffeine, alcohol consumption, and tobacco use. Don’t chew on anything that is not food (pencils and pens are for writing). If you suspect that anxiety contributes to your bruxism, ask us, or your doctor, about options to help reduce stress. Consider a night mouth guard (a well-fitting night guard can relieve strain, cause your jaw to relax at night, and greatly reduce grinding and clenching). If you have any questions about night guards, or about the effects of bruxism, call us. We want to help you get the beauty rest and the beautiful smile you deserve. You can also comment below, or on our Facebook page. We love hearing from you!